Field testing for genetically modified eggplant, also known as Bt (Bacillus thuringiensis) talong, has been permanently stopped by the Supreme Court (SC), while applications for the contained use, field testing, propagation, commercialization, and importation of genetically modified organisms (GMOs) have been temporarily halted. On their last regular en banc session for the year on Tuesday, high court magistrates upheld the Court of Appeals (CA) in permanently stopping field trials for Bt talong. The CA ruled that existing regulations by the Department of Agriculture (DA) and the Department of Science and Technology (DOST) are "insufficient to guarantee the safety of the environment and the health of the people." Using the Rules of Procedure for Environment Cases, the appellate court stressed that "over-all safety guarantee of the Bt talong 'remains unknown.'" The CA issued a writ of kalikasan against respondents led by Greenpeace Southeast Asia Philippines, and held hearings on the petition. The petitioners in this case before the SC, which sought a reversal of the CA ruling, include International Service for the Acquisition of Agri-Biotech Applications, Inc., Environmental Management Bureau, Crop Life Philippines, University of the Philippines Los Baños, and University of the Philippines. 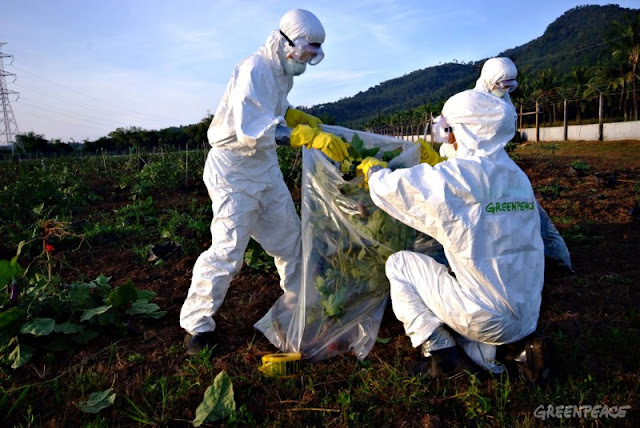 The SC, after reviewing the findings of the CA, stressed that scientists failed to come up with a consensus on the safety of Bt talong which, in turn, reflect the "divergent" and "continuing international debate" on GMOs. "In sum, current scientific research indicates that the biotech industry has not sufficiently addressed the uncertainties over the safety of genetically modified foods and crops," the high court said. 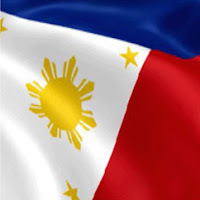 The high court further said that GMO field trials in the Philippines under DA Order 08-2002 showed that the said administrative order does not meet the minimum requirements for safety under Executive Order No. 514 which established the National Biosafety Framework (NBF). For this reason, the said order was struck down. "The Court found that the NBF under EO No. 514 mandates a more transparent, meaningful and participatory public consultation on the conduct of consultations with some residents and government officials, and submission of written comments as provided in Order 08-2002. "The Court found that petitioners simply followed Order 08-2002 but no real effort was made to operationalize the principles of the NBF in the conduct of field testing of Bt talong," the high court stressed. Because of these, the high court concluded that "the DA lacks the mechanisms to mandate applicants to comply with international biosafety protocols."